In my last post we went over why we’d want to go the CI/CD/Automated route and the more cultural reasons of why it is so beneficial. In this post, we’re going to delve a little bit deeper and examine the technical side of tooling. Remember, a primary point of doing a release is mitigating risk. CI/CD is all about mitigating risk… fast. The previous article noted that you can’t do CI/CD without building on a set of steps, and I’m going to take this approach here as well. Unsurprisingly, we’ll follow the steps we laid out in the “Why” article, and tackle each in turn. You must automate your testing. There is no other way to describe this. In this particular step however, we can concentrate on unit testing: Testing the small chunks of code you produce (usually functions or methods). There’s some chatter about TDD (Test Driven Development) vs BDD (Behavior Driven Development) in the development community, but I don’t think it really matters, just so long as you are writing test code along side your production code. On our team, we prefer the BDD style testing paradigm. I’ve always liked the symantically descriptive nature of BDD testing over strictly code-driven ones. However, it should be said that both are effective and any is better than none, so this is more of a personal preference. On our team we’ve been coding in golang, and our BDD framework of choice is the Ginkgo/Gomega combo. So as you can see, the Ginkgo (ie: BDD) formatting is pretty descriptive about what’s happening. I can instantly understand what’s expected. The function IsValidFormat, should return true given the range (list) of AvailableFormats. A format of foo (which is not a valid format) should return false. It’s both tested and understandable to the future change agent (me or someone else). Continuous Integration takes Step 1 further, in that it brings all the changes to your codebase to a singular point, and building an object for deployment. This means you’ll need an external system to automatically handle merges / pushes. We use Jenkins as our automation server, running it in Kubernetes using the Pipeline style of job description. I’ll get into the way we do our builds using Make in a bit, but the fact we can include our build code in with our projects is a huge win. There’s a lot going on here, but the important part to notice is that I grabbed this from the project repo. The build instructions are included with the project itself. It’s creating an artifact, running our tests, etc. But it’s all part of our project code base. It’s checked into git. It’s code like all the other code we mess with. The steps are somewhat inconsequential for this level of topic, but it works. We also have it setup to run when there’s a push to github (AND nightly). This ensures that we are continuously running this build and integrating everything that’s happened to the repo in a day. It helps us keep on top of all the possible changes to the repo as well as our environment. Our team uses a lot of tools. We ascribe to the maxim: Use what’s best for the particular situation. I can’t remember every tool we use. Neither can my teammates. Neither can 90% of the people that “do the devops.” I’ve heard a lot of folks say, “No! We must solidify on our toolset!” Let your teams use what they need to get the job done the right way. Now, the fear of experiencing tool “overload” seems like a legitimate one in this scenario, but the problem isn’t the number of tools… it’s how you manage and use use them. Make has been a mainstay in the UNIX world for a long time (especially in the C world). It is a build tool that’s utilized to help satisfy dependencies, create system-specific configurations, and compile code from various sources independent of platform. This is fantastic, except, we couldn’t care less about that in the context of our CI/CD Pipelines. We use it because it’s great at running “buildy” commands. …allows us to run THE SAME COMMANDS WHEN WE’RE DEVELOPING AS WE DO IN OUR CI/CD PROCESS. This socket allows us to run containers from containers, and since Jenkins is running on a container, this allows us to run our toolset containers in Jenkins, using the same commands we’d use in our local dev environment. On our local dev machines, we use docker nearly exclusively as a wrapper to our tools. This ensures we have library, version, and platform consistency on all of our dev environments as well as our build system. We use containers for our prod microservices so production is part of that “chain of consistency” as well. It ensures that we see consistent behavior across the horizon of application development through production. It’s a beautiful thing! 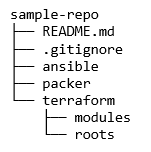 We use the Makefile as the means to consistently interface with the docker “tool” across differing environments. docker build -t $(CONTAINER)-test . This also codifies how to execute the commands. ie: what arguments to pass, what inputs etc. If I can’t even remember the name of the command, I’m not going to remember the arguments. To remedy, I just open up the Makefile, and I can instantly see. After the last post (you read it right? ), some might have noticed that I skipped the “Delivery” portion of the “CD” pipeline. As far as I’m concerned, there is no “Delivery” in a “Deployment” pipeline. The “Delivery” is the actual deployment of your artifact. Since the ultimate goal should be Depoloyment, I’ve just skipped over that intermediate step. Okay, sure, if you want to hold off on deploying automatically to Prod, then have that gate. But Dev, Int, QA, etc? Deployment to those non-prod environments should be automated just like the rest of your code. If you guessed we use make to deploy our code, you’d be right! We put all our deployment code with the project itself, just like the rest of the code concerning that particular object. For services, we use a Dockerfile that describes the service container and several yaml files (e.g. 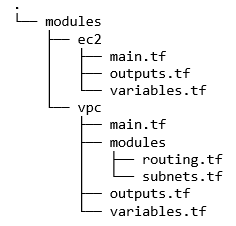 deployment_<env>.yaml) that describe the configurations (e.g. ingress, services, deployments) we use to configure and deploy to our Kubernetes cluster. This is an example of a deployment into Kubernetes for dev. That %> make deploy_dev from the Jenkinsfile above? That’s pushing this to our Kubernetes cluster. For us, Point 1 is moot… it’s what we do. For Point 2, we use Make, and we use Make THROUGH THE ENTIRE PROCESS. I use Make locally in dev and on our build server. It ensures we’re using the same commands, the same containers, the same tools to do the same things. Test, integrate (test), and deploy. It’s not just about writing functional code anymore. It’s about writing a functional process to get that code, that value, to your customers! And remember, as with anything, this stuff get’s easier with practice. So once you start doing it you will get the hang of it and life becomes easier and better. If you’d like some help getting started, download our datasheet to learn about our Modern CI/CD Pipeline. In this post, we’ll go over a complete workflow for continuous integration (CI) and continuous delivery (CD) for infrastructure as code (IaC) with just 2 tools: Terraform, and Atlantis. In practice, this means that Terraform allows you to declare what you want your infrastructure to look like – in any cloud provider – and will automatically determine the changes necessary to make it so. Because of its simple syntax and cross-cloud compatibility, it’s 2nd Watch’s choice for infrastructure as code. Enforcing peer review becomes difficult. In any codebase, you’ll want to ensure that your code is peer reviewed in order to ensure better quality in accordance with The Second Way of DevOps: Feedback. The role of peer review in IaC codebases is even more important. IaC is a powerful tool, but that tool has a double-edge – we are clearly more productive for using it, but that increased productivity also means that a simple typo could potentially cause a major issue with production infrastructure. In order to minimize the potential for bad code to be deployed, you should require peer review on all proposed changes to a codebase (e.g. GitHub Pull Requests with at least one reviewer required). Terraform’s open source offering has no facility to enforce this rule. Terraform plan output is not easily integrated in code reviews. In all code reviews, you must examine the source code to ensure that your standards are followed, that the code is readable, that it’s reasonably optimized, etc. In this aspect, reviewing Terraform code is like reviewing any other code. However, Terraform code has the unique requirement that you must also examine the effect the code change will have upon your infrastructure (i.e. you must also review the output of a terraform plan command). 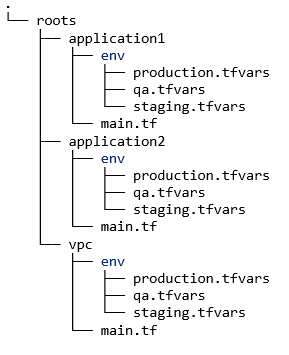 When you potentially have multiple feature branches in the review process, it becomes critical that you are assured that the terraform plan output is what will be executed when you run terraform apply. If the state of infrastructure changes between a run of terraform plan and a run of terraform apply, the effect of this difference in state could range from inconvenient (the apply fails) to catastrophic (a significant production outage). Terraform itself offers locking capabilities but does not provide an easy way to integrate locking into a peer review process in its open source product. Too many sets of privileged credentials. Highly-privileged credentials are often required to perform Terraform actions, and the greater the number principals you have with privileged access, the higher your attack surface area becomes. Therefore, from a security standpoint, we’d like to have fewer sets of admin credentials which can potentially be compromised. And what is Atlantis? Atlantis is an open source tool that allows safe collaboration on Terraform projects by making sure that proposed changes are reviewed and that the proposed change is the actual change which will be executed on your infrastructure. Atlantis is compatible (at the time of writing) with GitHub and Gitlab, so if you’re not using either of these Git hosting systems, you won’t be able to use Atlantis. Atlantis is deployed as a single binary executable with no system-wide dependencies. An operator adds a GitHub or GitLab token for a repository containing Terraform code. The Atlantis installation process then adds hooks to the repository which allows communication to the Atlantis server during the Pull Request process. A developer creates a feature branch in git, makes some changes, and creates a Pull Request (GitHub) or Merge Request (GitLab). The developer enters atlantis plan in a PR comment. Via the installed web hooks, Atlantis locally runs terraform plan. If there are no other Pull Requests in progress, Atlantis adds the resulting plan as a comment to the Merge Request. If there are other Pull Requests in progress, the command fails because we can’t ensure that the plan will be valid once applied. The developer ensures the plan looks good and adds reviewers to the Merge Request. Once the PR has been approved, the developer enters atlantis apply in a PR comment. This will trigger Atlantis to run terraform apply and the changes will be deployed to your infrastructure. The command will fail if the Merge Request has not been approved. You can see that with minimal additional infrastructure you can establish a safe and reliable CI/CD pipeline for your infrastructure as code, enabling you to get more done safely! To find out how you can deploy a CI/CD pipeline in less than 60 days, Contact Us. Alexa gets a lot of use in our house, and it is very apparent to me that the future is not a touch screen or a mouse, but voice. Creating an Alexa skill is easy to learn by watching videos and such, but actually creating the skill is a great way to understand the ins and outs of the process and what the backend systems (like AWS Lambda) are capable of. To get started, you need a problem to solve. Once you have the problem, you’ll need to think about the solution before you write a line of code. What will your skill do? You need to define the requirements. For my skill, I wanted to ask Alexa to “park my cloud” and have her stop all EC2 instances or RDS databases in my environment. Now that I’ve defined the problem and have an idea for the requirements of the solution, it’s time to start building the skill. The first thing you’ll notice is that the Alexa Skill port is not in the standard AWS portal. You need to go to developer.amazon.com/Alexa and create a developer account and sign in there. Once inside, there is a lot of good information and videos on creating Alexa skills that are worth reviewing. Click the “Create Skill” button to get started. In my example, I’m building a custom skill. The process for building a skill is broken into major sections; Build, Test, Launch, Measure. In each one you’ll have a number of things to complete before moving on to the next section. The major areas of each section are broken down on the left-hand side of the console. On the initial dashboard you’re also presented with the “Skill builder checklist” on the right as a visual reminder of what you need to do before moving on. This is the first area you’ll work on in the Build phase of your Alexa skill. This is setting up how your users will interact with your skill. Invocation will setup how your users will launch your skill. For simplicity’s sake, this is often just the name of the skill. The common patterns will be “Alexa, ask [my skill] [some request],” or “Alexa, launch [my skill].” You’ll want to make sure the invocation for your skill sounds natural to a native speaker. I think of intents as the “functions” or “methods” for my Alexa skill. There are a number of built-in intents that should always be included (Cancel, Help, Stop) as well as your custom intents that will compose the main functionality of your skill. Here my intent is called “park” since that will have the logic for parking my AWS systems. The name here will only be exposed to your own code, so it isn’t necessarily important what it is. Utterances is your defined pattern of how people will use your skill. You’ll want to focus on natural language and normal patterns of speech for native users in your target audience. I would recommend doing some research and speaking to a diversity of people to get a good cross section of utterances for your skill. More is better. Amazon also provides the option to use slots (variables) in your utterances. This allows your skill to do things that are dynamic in nature. When you create a variable in an utterance you also need to create a slot and give it a slot type. This is like providing a type to a variable in a programming language (Number, String, etc.) and will allow Amazon to understand what to expect when hearing the utterance. In our simple example, we don’t need any slots. Interfaces allow you to interface your skill with other services to provide audio, display, or video options. These aren’t needed for a simple skill, so you can skip it. Here’s where you’ll connect your Alexa skill to the endpoint you want to handle the logic for your skill. The easiest setup is to use AWS Lambda. There are lots of example Lambda blueprints using different programming languages and doing different things. Use those to get started because the json response formatting can be difficult otherwise. If you don’t have an Alexa skill id here, you’ll need to Save and Build your skill first. Then a skill id will be generated, and you can use it when configuring your Lambda triggers. Assuming you already have an AWS account, you’ll want to deploy a new Lambda from a blueprint that looks somewhat similar to what you’re trying to accomplish with your skill (deployed in US-East-1). Even if nothing matches well, pick any one of them as they have the json return formatting set up so you can use it in your code. This will save you a lot of time and effort. Take a look at the information here and here for more information about how to setup and deploy Lambda for Alexa skills. You’ll want to configure your Alexa skill as the trigger for the Lambda in the configuration, and here’s where you’ll copy in your skill id from the developer console “Endpoints” area of the Build phase. Quite simply, if the Alexa application id passed in the session doesn’t match my known Alexa skill id, then raise an error. The other piece of advice I’d give about the Lambda is to create different methods for each intent to keep the logic separated and easy to follow. Make sure you remove any response language from your code that is from the original blueprint. If your responses are inconsistent, Amazon will fail your skill (I had this happen multiple times because I borrowed from the “Color Picker” Lambda blueprint and had some generic responses left in the code). Also, you’ll want to handle your Cancel, Help, and Stop requests correctly. Lastly, as best practice in all code, add copious logging to CloudWatch so you can diagnose issues. Note the ARN of your Lambda function as you’ll need it for configuring the endpoints in the developer portal. Once your Lambda is deployed in AWS, you can go back into the developer portal and begin testing the skill. First, put your Lambda function ARN into the endpoint configuration for your skill. Next, click over to the Test phase at the top and choose “Alexa Simulator.” You can try recording your voice on your computer microphone or typing in the request. I recommend you do both to get a sense of how Alexa will interpret what you say and respond. Note that I’ve found the actual Alexa is better at natural language processing than the test options using a microphone on my laptop. When you do a test, the console will show you the JSON input and output. You can take this INPUT pane and copy that information to build a Lambda test script on your Lambda function. If you need to do a lot of work on your Lambda, it’s a lot easier to test from there than to flip back and forth. Pay special attention to your utterances. You’ll learn quickly that your proposed utterances weren’t as natural as you thought. Make updates to the utterances and Lambda as needed and keep testing. Now you wait. Amazon seems to have a number of automated processes that catch glaring issues, but you will likely end up with some back and forth between yourself and an Amazon employee regarding some part of your skill that needs to be updated. It took about a week to get my final approval and my skill posted. Creating your own simple Alexa skill is a fun and easy way to get some experience creating applications that respond to voice and understand what’s possible on the platform. Good luck!